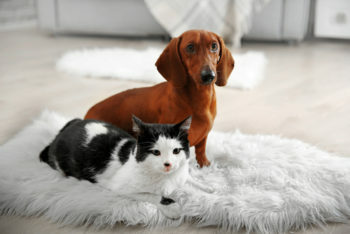 The Quarters at Cambridge is pleased to welcome your fur-babies at our pet-friendly apartments in Wichita, KS. We have a pet policy in place, which includes weight and breed restrictions. Although we love pets, all animals must be pre-approved by the management. You’ll love walking your dog through our quiet, east Wichita neighborhood. For your convenience, on-site pet stations are located throughout the property. For longer walks, we are located near nature trails and parks. For complete lease agreement details regarding pet policy, please stop by or email us at info@quartersatcambridge.com. *Service Animals are not considered pets. Pet deposits and pet rent are not applicable for these service animals. Additional documentation may be requested. previous post: Well-placed mirrors can do wonders!